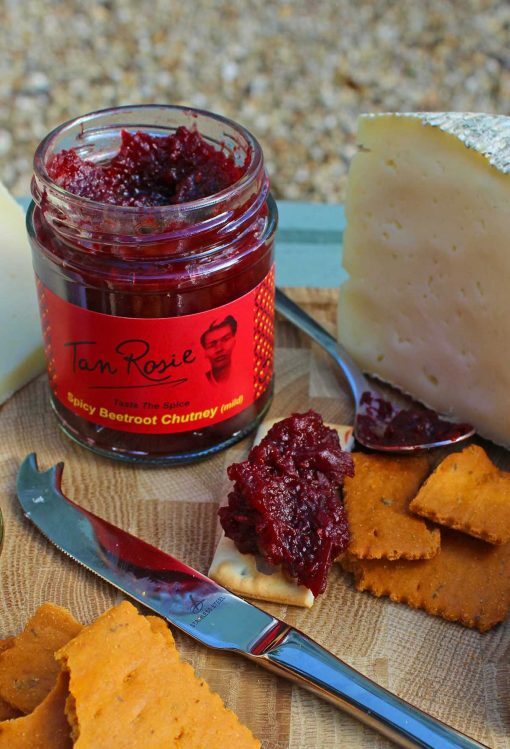 Caribbean Beetroot Chutney, perfect for Christmas cold meats and cheeses. Back by popular demand for the up coming Christmas season, lovely beetroot with a hint of chilli. Once opened refrigerate & consume within 6/8 weeks. Ingredients: Beetroot, Apples, White Wine Vinegar, Sugar, Onions, Garlic, Ginger, Lemon, Scotch Bonnet Chilli, Allspice, Cinnamon, Salt. Nutritional Value per 100g: Energy 87kcal/373kJ, Protein 0.8g, Carbohydrate 22g, Fat 0.1g, Water 75ml.